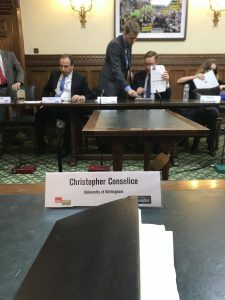 Christopher Conselice, Professor of Astrophysics in the School of Physics and Astronomy, is spending this week at Westminster behind the scenes finding out how policy is made and how his research, and the work of other academics and scientists, could be used to make evidence based decisions. His visit is part of the unique pairing scheme run by the Royal Society and the Government Science and Engineering (GSE) profession. 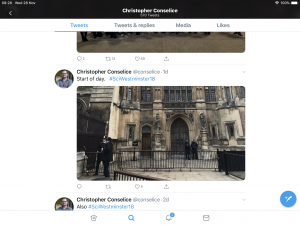 Professor Conselice is based in the newly established Centre for Data Ethics and Innovation which will look at how data can be used in policy with the aim of building trust and enabling innovation in data-driven technologies. 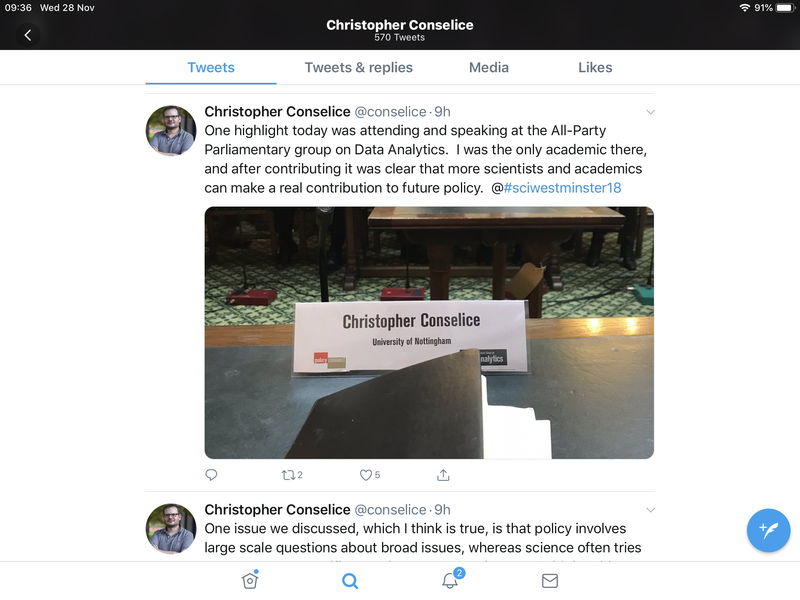 He is shadowing Louise Pakserescht, Senior Policy Adviser at the centre, to learn more about her work and give her the opportunity to discuss the scientific basis to decision making and improve civil service access to scientific evidence. 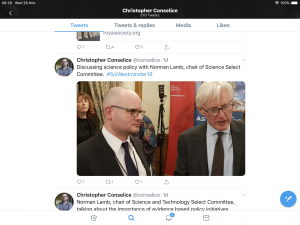 Professor Conselice’s visit began with a tour of Westminster; he has been discussing science police with Norman Lamb, Chair of the Science Select Committee; and has had a glimpse at how a new area of government is taking shape. He said: I am discussing issues about how to use data and new techniques in machine learning and artificial intelligence to decide on policy. The Royal Society’s pairing scheme aims to build bridges between parliamentarians, civil servants and some of the best scientists in the UK. Now in its 18th year 456 scientists have taken part, shadowing a mixture of MPs, Peers, Civil Servants and Select Committee Staff.